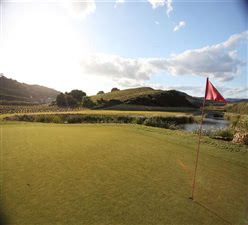 Casares Golf is a 9 hole 'parkland' course designed by Juan Carlos Martinez and opened in 2007. Although not long and only 9 holes, the course has been well designed and delivers an interesting mix of holes to offer a good challenge to golfers of all ability (the Par 5 6th at nearly 500 meters will challenge even the best of golfers). The course is well maintained and although currently being a little 'open' this will change as the new trees and other vegetation begins to mature. The clubhouse is also modern and offers full bar and catering facilities.